Virgin Media has carried out its threat to withdraw UKTV from its networks in the UK and Ireland. Around four million UK households are no longer able to watch 10 of the country's best-known TV channels after Virgin Media stopped offering the UKTV portfolio just after midnight on Sunday morning. 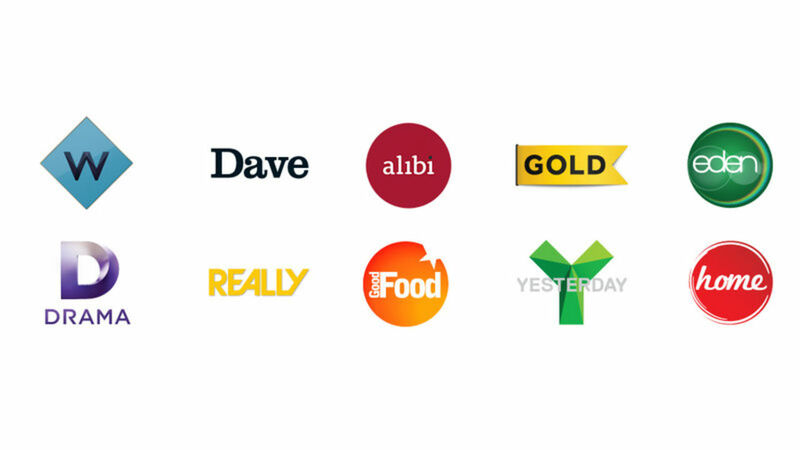 The move means that Virgin Media customers miss out on channels including Dave, Alibi, Drama and Gold, as well as favourite shows such as Taskmaster, Judge Romesh, Harrow and Red Dwarf. In addition to the live channels, Virgin Media will no longer provide access to thousands of hours of programmes from UKTV to watch on demand. Some viewers reported losing access to these on-demand programmes as early as Friday evening. The two companies were unable to reach an agreement on a new distribution deal after Virgin Media demanded a huge cut in the fees paid to UKTV. According to viewing figures, UKTV's channels accounted for more than 25% of viewing to pay entertainment channels in Virgin's basic pay pack. Since the news broke last week hundreds of Virgin Media customers, who faced an increase of up to £48.00 in their annual subscription last November, have taken to social media to express their unhappiness about losing their favourite channels. Many have told @a516digital on Twitter about their annoyance at the move, with many threatening to leave Virgin Media. Virgin Media have now confirmed that they have replaced UKTV's channels slots with duplicates of alternative channels, many of which sit lower on the EPG. The axing of UKTV's channels - which Virgin had indicated had been devalued by its free-to-air offer, has seen the cable company add other free-to-air channels, a number of which, including YourTV, have been available as standard on other platforms for years. But a number of exclusive channels have now been added, including ZooMo HD, Love Nature HD and the HD version of Paramount Network, bringing the channel to Virgin two weeks after all other main platforms. Virgin is also offering temporarily free access to Premier Sports in a bid to pacify subscribers. As part of a 2016 deal with Virgin, UKTV had been supplying thousands of hours of on-demand content to Virgin customers, including many of its homegrown programmes including Taskmaster. UKTV said it had offered to significantly increase the volume; offering thousands of extra catch up hours and hundreds of boxset hours to Virgin Media. "We're hugely disappointed for the many customers who are losing out because our channels are no longer available through Virgin Media. We completely understand their frustration and would love to continue to bring them the shows and channels that they're so passionate about, but we need a fair price to support our growing investment in programmes. The reality is that we just can't accept the drastic price cut that Virgin wants. We remain completely committed to our viewers and appreciate the thousands of messages of support that we have received. We will continue to serve our viewers through our many platform partners. " UKTV offers five free and five pay channels. The free channels are available on Freeview, Freesat, Sky and YouView-based services (BT/ TalkTalk/ Plusnet). The pay channels are still available in the UK on Sky, BT, Plusnet TV and TalkTalk TV. In Ireland, a number of UKTV channels (with Irish adverts) are carried on Sky, Eir and Vodafone. UKTV channels are also legally available online as live streams via the TVPlayer.com website for users in the UK. The pay networks require a TVPlayer Plus subscription. The UKTV Play app, available on a variety of devices contains on-demand programmes from UKTV's Freeview channels including Dave, Drama and Really. Sky's internet-based Now TV contains access to Gold, as well as access to the UKTV Play app on Now TV boxes. The Now TV Smart Box also provides access to UKTV's five Freeview channels (subject to local coverage).